As I have learned over the past couple weeks, Rental shopping and moving in Toronto can be an interesting adventure. I will preface this with the fact that I hate moving. I especially despise moving in the winter. Carrying big heavy boxes through the snow? Why? Why would you want to do that? Well, situations lined up that moving in February happened, and there wasn’t much that I could do about it. What a crazy weekend. It started with getting home from work on Friday after hanging out with some friends. 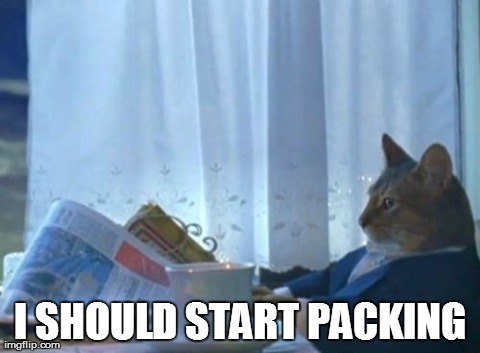 Then spending Saturday and Sunday packing my entire life into boxes. The joys of moving. Monday I was up and ready to go at 9, at the new place by 10:30, and we started moving in. By 3:00 ish, we were all in. Then some festivities with friends. Pizza and beer for the helpers, and some chill time. It was more like unpack a box, have a beer, relax for a bit, unpack a box. All in all tho, we are all moved in. Things are finally settling down, post move. Me and my roomie are in, mostly(tm) unpacked and so far there are no complaints. We had our internet hooked up on Tuesday, and I have set up our little network. Theres a topic for another post, but for now Ill just say we have a decent Wifi Signal across the apartment, and a soon to be fileserver that will dual serve as a media server/backup solution for my work stuff. Going to find a spot for the printer which will be network available as its always handy to have a printer/scanner combo up and running. I have been thinking that we need to get a TV though. Watching movies/netflix on a laptop on the couch is fun and all, but having a TV would make it all that much better. We were able to be pretty lucky all in all though. Nearing the end of the day it started to snow, and then a day or so later we got what looked like 2 inches. Luckily the house is very warm, some time to an extreme. It was snowing like crazy, but inside I was walking around in shorts and a t-shirt, quite content. All in all, it was a pretty smooth process. From deciding to move, to finished, it only took about 3 weeks, and thankfully my roommate is so good at logistics. Anyway, back to code. I need to finish off some stuff before the days end.